cell organelles and complete 2 cells. Arrange the bones in the human body and the skull. Sort the food chain elements in correct order. 7 phases of cell division in a fun online game. 18 questions online test with integrated valuation system. 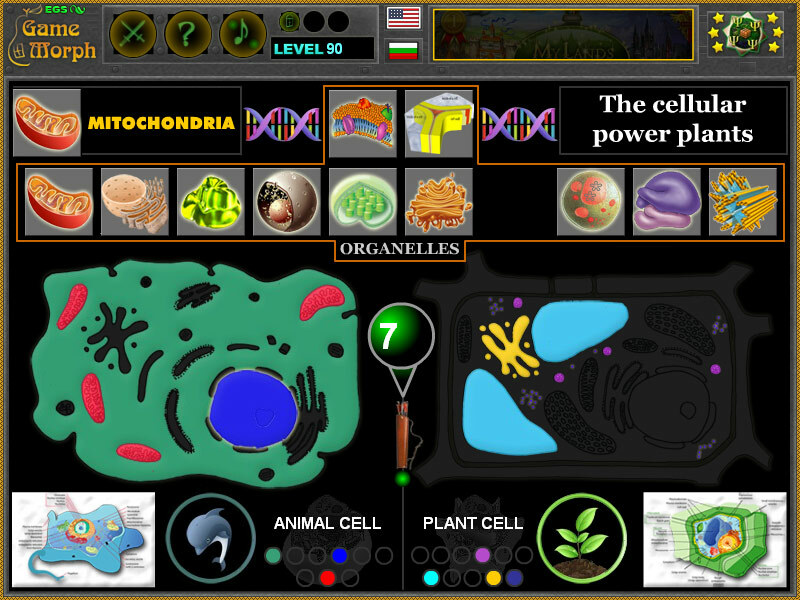 Free online learning games about biology. Biology games to study and explore the life. More than 10 online games, related to different biological subjects, that may be used for fun, interactive education and examination. 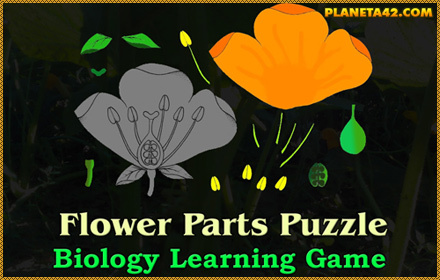 The biology knowledge games are small flash games, up to 1-2 MB, which include puzzles, tile games, arcade games and hidden objects games to explore the secrets of biology. A variety of biology studies are made in a fun interactive way, including human body parts, biology cells, microbiology and botany. 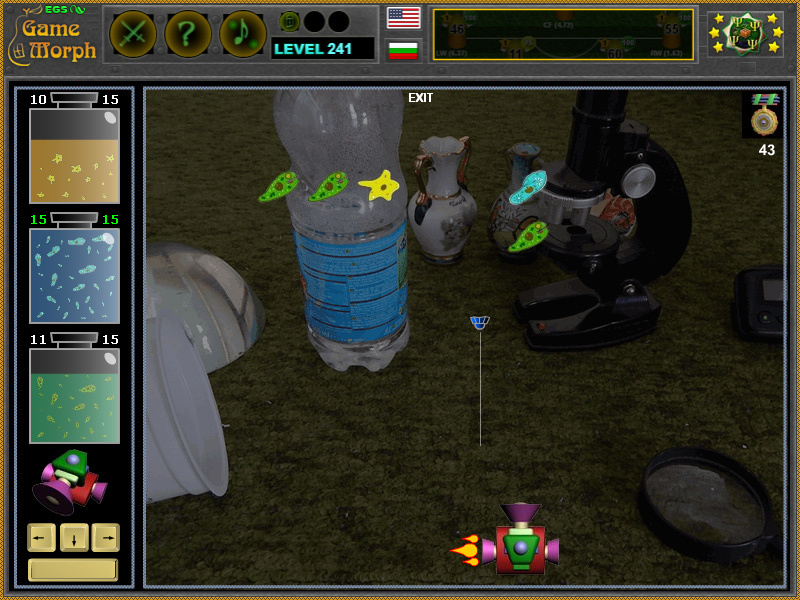 They are fast and fun educational games for desktop computers, which will reward the player with a new knowledge level. 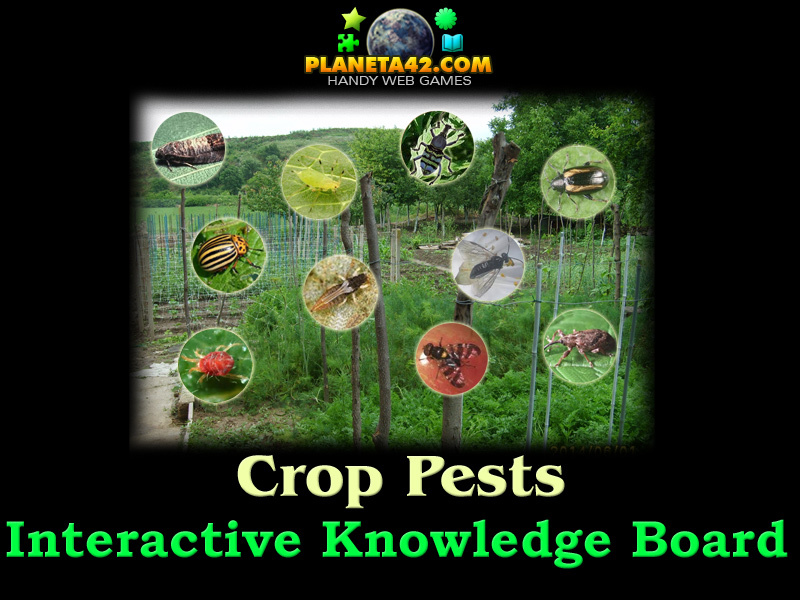 Fun biology games online. Minute to win it games. Interactive online biology classes. Biology Tree Mosaic - Sort the biology science branches on the tree of knowledge. Cell Puzzle - Drag and drop the organelles in the cells. Body Cell Types Game - Identify the cell type that belong to one of 10 human systems. Cell Mitosis Puzzle - Arrange the stages of cell division in correct order. Flower Structure - Build up a plant flower, placing the parts on the diagram. 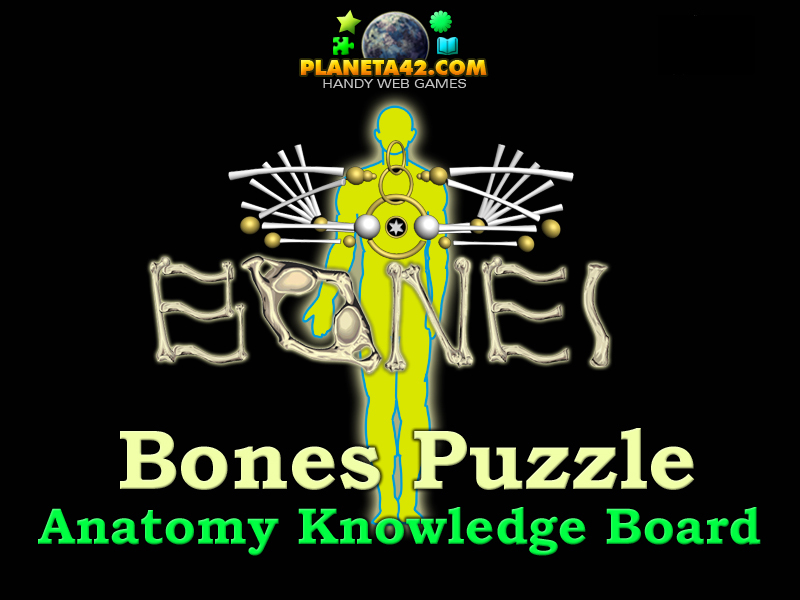 Bones Puzzle - Sort the main skeleton bones in the human body and advane to the skull bones. Single Cells Live - Control the lab robot and watch out no single cell to escape. Apples Varieties Game - Control the harvesting robot and collect 9 types of apples. 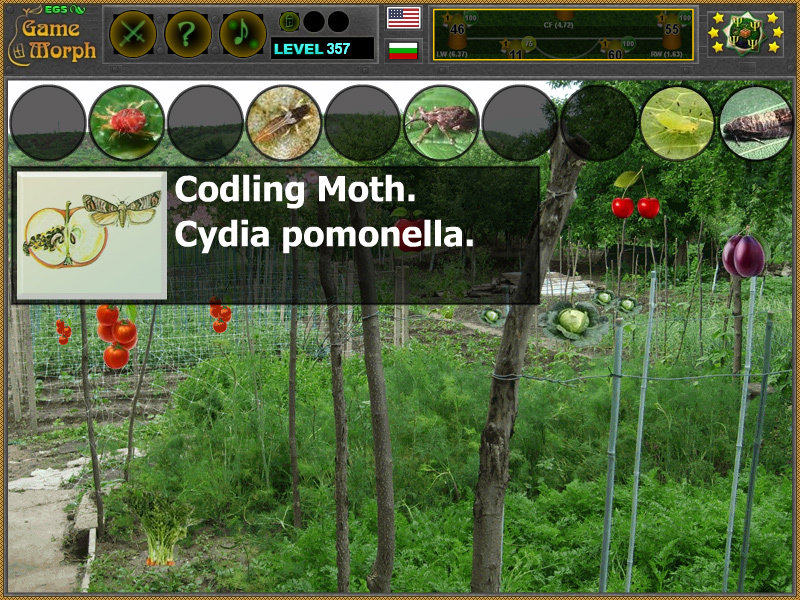 Crop Pests Puzzle - Shake the plants to find 10 hidden insects in the garden. Biology Test - 18 questions to exam the basis of biology and get a school mark. Food Chain Puzzle - Sort the food chain in correct order. Biology game to study the food chain diagram. 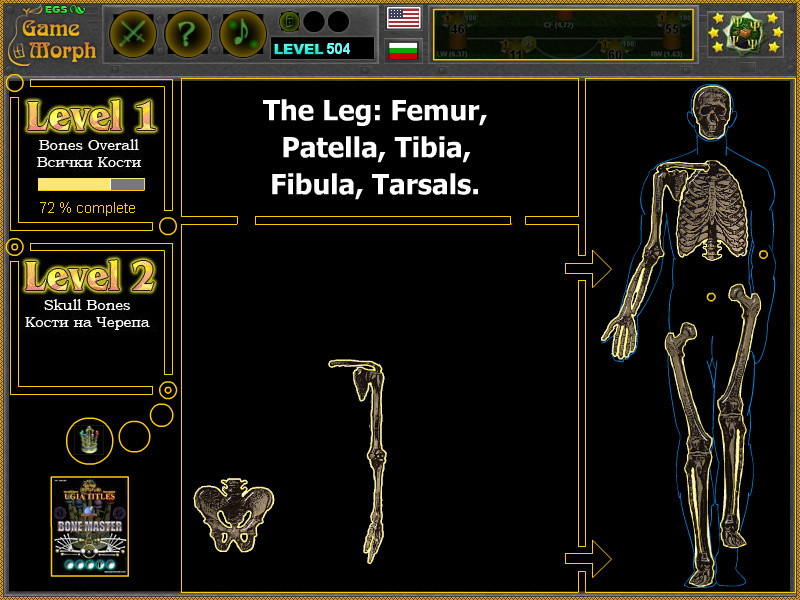 The "Bio Lab" is a free online education web site with short biology games, tests and puzzles played online in the web browser. Every lesson is a small game and all games are free and runs on medium class computers, tablet and laptops, with installed flash player. 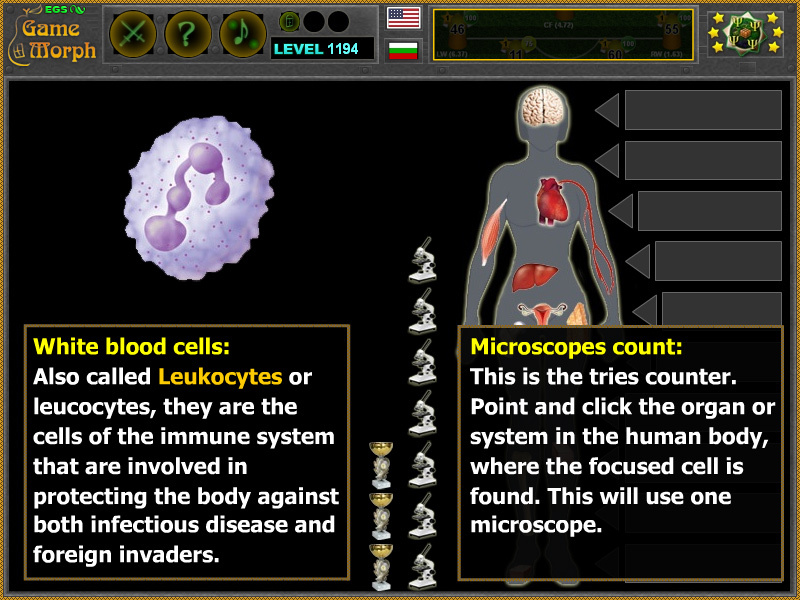 The collectible biology games (download versions), go with built in player, but the levels are not saved on the website. 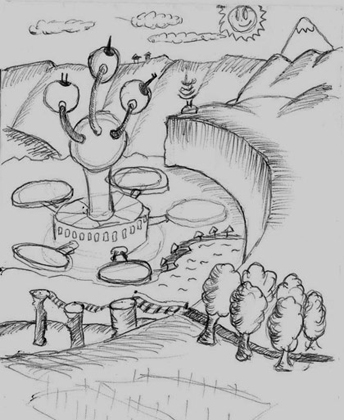 Like all Planeta 42 knowledge level games, when completed, the bio games reward +1 Knowledge Level. Let's learn something about the surrounding life, by interaction. Free online games, test, puzzles and quizzes to study common biology knowledge in the web browser. Educational Multimedia Biology for kids and students. Free to play and download without registration. Fun biology games with popular biology topics. The Interactive Biological Laboratory may be used for education, examination, references and recreation. 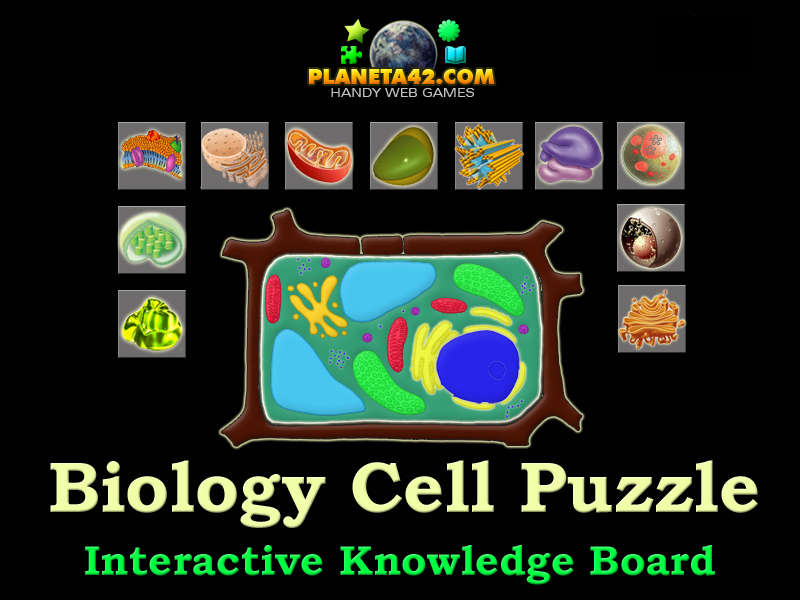 Biology Puzzles - This collection includes biology games to drag and drop pictures and sort various biological elements in correct places. 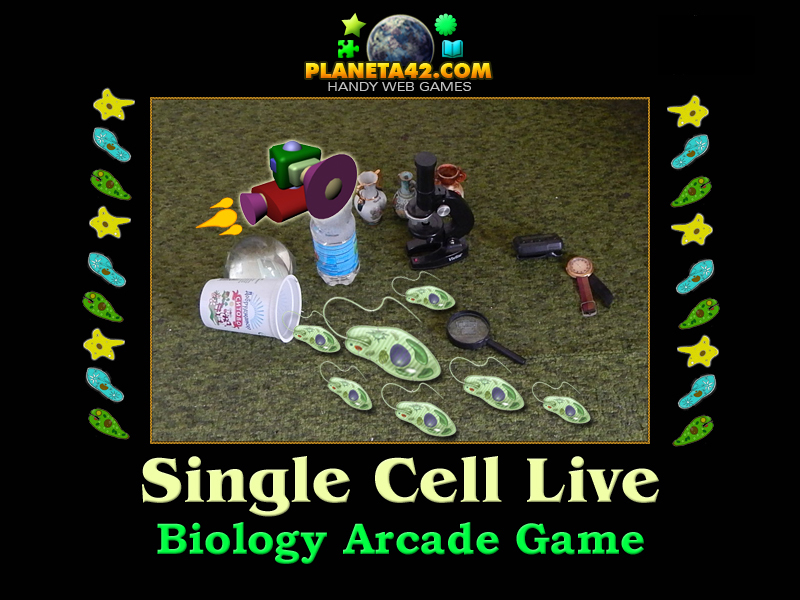 Biology Arcade Games - This collection include games that usually involve playing with the keyboard and collecting biology objects. Biology Quizes - This collection include tests and quizzes to explore, study and examine biology science knowledge. Zoology Games - This collection include fun animal games. Biology Games for Kids - This collection include all biology learning games suitable for kids and pupils in 4-8 grade. Interactive Biology for Kids. Biology Games for Students - This collection include all games for 9 grade and above, suitable for students and adults. Interactive Biology for Students. The Bio Lab website includes: biology games cells, human biology games, biology classroom games, biology games ideas, biology games app, biology board games and more than 10 online games, related to different biological subjects, that may be used for fun, interactive education and examination. 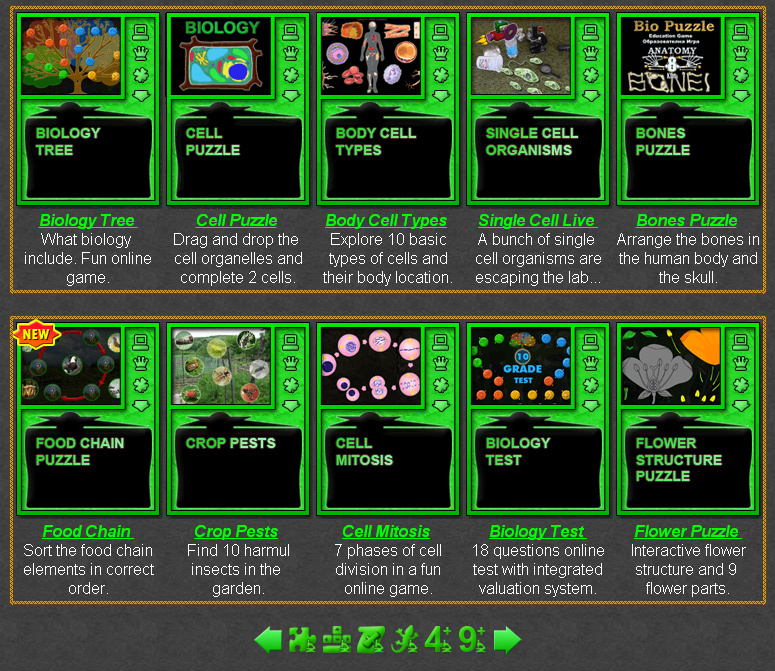 Here is the blog with the Wonderful Collection of Biology Games.